On 29th July 2017 Cancer Awareness Camp was organized by Mahila Arogya Vikasa JET Nepal in Devghàt Varaha Pravi School, Tanahu, with the help of Srimathi Harikala Bhattarai – Chairman of this school. 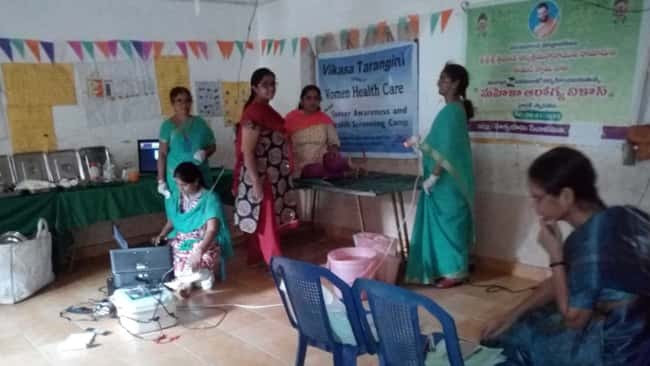 Mahila Aro:gya Vika:sa, is a Health Care Program for Women often organized by various Vikasatarangini branches thoughout Andrapradesh, Telangana, Tamilnadu, some other parts of India, and even Nepal. 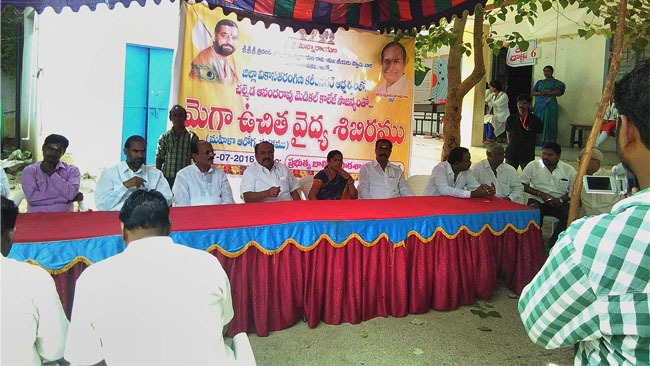 The members and volunteers of the camp, conduct several awareness sessions for women, mostly folks from villages and towns who are totally oblivious of the general health issues prevailing in women. These sessions are then followed by Diagnosis & Treatment of Cancer by highly efficient team of doctors and staff. Many hospitals often come forward to assist the noble cause, by providing free facilities for surgeries and post surgical needs of the patients.